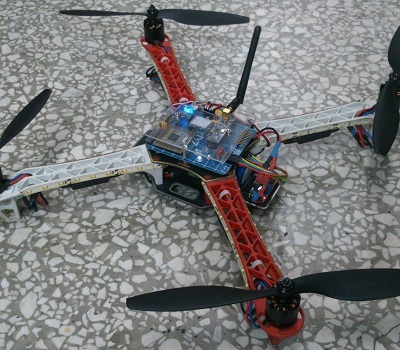 The main purpose of this study is to establish a self-balance quadrocopter and to connect the home-made monitoring platform for remote control. First, I learn the quadrocopter structure and principles of flight. Then, the wireless transmission module controlling, sensor reading and filtering are constructed. Based on the attitude feedback, a PID balance controller is applied to control the four brushless motors. Finally, the quadrocopter attitude is controlled with a self-balance function.